The North Carolina Health Information Exchange Authority is a proud partner of U.S. National Health IT Week, Oct. 8-12, a nationwide awareness week focused on catalyzing actionable change within the U.S. health system through the application of information and technology. 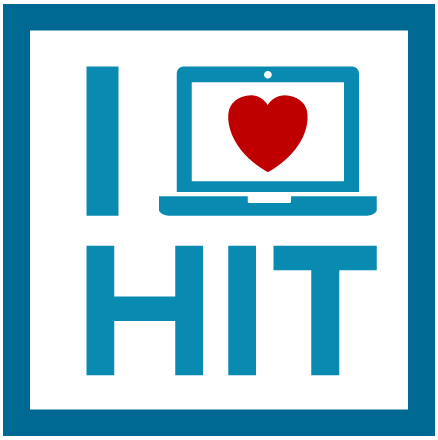 My HealthIT story began in the ‘80s as a software developer for a small consulting firm specializing in Medicare claims processing. During my 30+ year career in HealthIT, I’ve seen many changes in technology and that’s been exciting. But, the real reward is knowing that the work we do in HealthIT helps patients and families, especially during some of their most difficult times dealing with health problems. Now, working for the NC Health Information Exchange Authority, the technology remains exciting and the rewards of helping people continue to grow as we do our part to improve health care outcomes. I came to Health IT after a progressive career in public service with an emphasis in social work and public health administration. I was a case manager for the Community Alternatives Program for Disabled Adults in the late 90s, and interdisciplinary teams were just beginning in Eastern North Carolina. I remember the difficulty of developing care plans that required a prescription for Durable Medical Equipment from a physician, and a skilled nurse to provide wound care for a-bed bound patient who had recently been released from the hospital and was going to require in-home care and physical therapy. Many clients would have four or more provider agencies in their home on any given day. The care coordination involved was often very frustrating and the manual systems required physically running around from practice to practice, to hospital, to patients' homes, and even visiting nursing homes to obtain signatures and get copies of forms and back-up documentation. Couple this with doing it for 50 patients at once, all with varying co-morbidities and unique health needs. It was rewarding working, the days went by very quickly, and there were never enough hours in the day. I imagine the new technological advances are freeing up the hands of many social workers, nurses, and practitioners to spend more time on patient care and less time reporting and documenting. I envision that the caseloads have gotten larger but the time management and efficiency of providing customer service and patient care has improved with the invention of Health Information Exchange and data sharing agreements. Beyond a passion to access my own health data and communicate more effectively with my own care providers, the importance of a consolidated, accessible patient record hit home when I was in the hospital after delivering my first baby, Cate. She deserves a single health record; one that she can access, control, contribute to, and share (or not). Cate was born with bilateral hip dysplasia (legs that are loose in their little hip sockets). She was treated by multiple hospital nurses and two rounding pediatricians, and the communication between the care providers was not efficient. They were tracking their notes and suspicions in siloed electronic systems. Referrals were not fast enough. When we did get to a specialist, complete records were not shared. Almost five months passed—first without treatment, and then in the wrong device with too little imaging to diagnose its ineffectiveness. For many hip dysplasia infants treated appropriately in the days following birth, the condition resolves within months. The result of Cate’s care gap is a condition that will follow her into her teens; possibly into adulthood. This is not a health IT success story; like too many others, it is a health IT failure. While we’re right to celebrate the enormous strides made in health IT over the past decade, the road ahead is full of challenges. For patients and their families to work with care teams to manage medical events and chronic conditions effectively, they need instant, full, and complete access to their health records from all places of care. The ability to achieve this for my children and their generation is why #IHeartHIT. Now let’s get back to work. My first degree is in Information Systems Management. I originally started my career in IT, doing software development in satellite communications. But, subsequently I got involved in an effort for the Cystic Fibrosis Foundation creating a portal to share treatment methodologies to extend the lives of patients across the nation. I had always been a people person and very interested in the direct care of others, but also had a logical and analytical brain as well. That project got my brain thinking! And then, the dot com era gave me a chance to go back to school unexpectedly when the economy crashed. So I decided to become a registered nurse based on my personal health experiences and that of my IT experience. I completed a second degree in nursing from Duke and fell in love with being at the bedside. While I was working as a nurse, and the field of Nursing Informatics was coming to fruition, a larger EHR approached me and asked if I would like to assist them in their Meaningful Use implementation. I have worked with clinical decision support, regulatory, real time alerting, population health reporting, clinical content analysis, and now for our state HIE. I’m very excited to understand both the clinical and technical aspects of patient care and the related data required. It is my pleasure to work at NC HealthConnex and use my past experiences to better the lives of the citizens of NC through integrated and intelligent healthcare systems. A good friend of mine works in HealthIT, and told me about an open position in her group that sounded very intriguing. After several surgeries and countless hours spent in waiting rooms as a patient, the thought of having an impact on improving overall patient care was exciting. Although I had no technical experience, my experience navigating the health system with multiple providers made the world of an HIE seem like a no brainer. I now get to talk to providers every day and help them understand why what we do is so important. Technology is the first hurtle our providers have to face, and this can be a scary world to providers that have never used an electronic health records system. Once providers hear about the practical and possible life saving applications of the HIE for their patients, their fear almost immediately turns into excitement. We witnessed some of these applications first hand during Hurricane Florence. It is refreshing to be a part of an organization that is using technology in such a positive way to truly help the healthcare outcomes of the patients in our state.